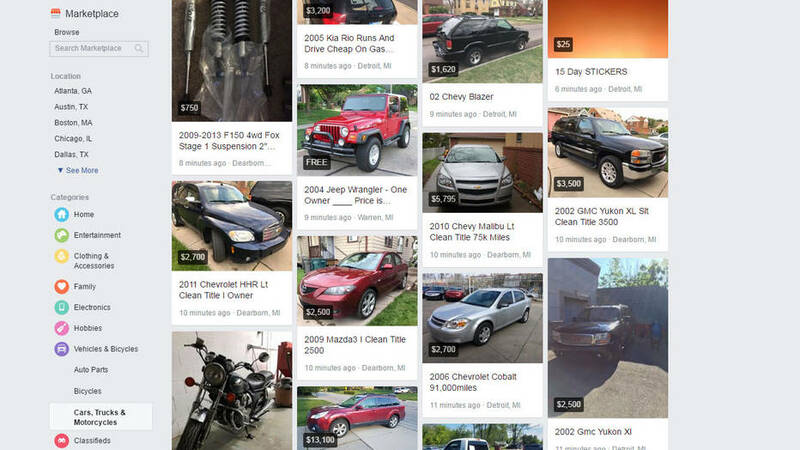 Facebook has made a significant move in the classified market by creating a special section: marketplace for cars. The social media giant has added this new feature in its search through which users can find different automobiles based on their model, make, mileage, transmission, and other specifications. The cars listed in the search will be featured through different car dealers including Edmunds, Auction123, Cars.com, SocialDealer, and CDK Global. The Kelly Blue Book will also be available so users can compare the prices with the ongoing industrial prices. Moreover, messenger bots will be available so buyers can contact sellers on the spot instead of waiting to hear from them after filling out a contact form. Facebook’s peer to peer search volume has increased three times globally. In 2017, the listings in the US alone have reached to 18,000. Unique conversations between buyers and sellers has also recorded to increase by 77% in the first 6 months of 2017. As Facebook saw the increasing trend in creating buy-and-sell groups, the company headed over to creating a feature that fulfills all those needs. Any dealing done through the marketplace for cars will not be linked to Facebook. In addition, the social media platform won’t have a share if a successful deal is carried out. However, Facebook does have the authority to place ads in the marketplace. Dealers wouldn’t be hesitant in paying Facebook a little amount of money for ads if these ads are going to land them a buyer. A marketplace for cars is just a fraction of what Facebook is intending to do in the e-commerce sector. Other than vehicles, Facebook is also working on helping users buy tickets through Ticketmaster, search and have jobs, and discover different deals through sites like eBay. Facebook might also step into the real estate business to help you find a home. Although there are different sites for such purposes, Facebook is aiming to provide users with an all-in-one platform. With this, users won’t have to sign up at different places like Craiglist, eBay, or Amazon. They already have their Facebook accounts and if everything is inside Facebook, why bother looking for them outside of it? Is this the reason why I have not been able to find the Facebook marketplace? The ability for car owners to post and sell vehicles allowed Facebook users to buy vehicles at a price we WILL NOT BE GETTING FROM THESE DEALERS.